We offer a safe and accessible place with a family atmosphere and personalized attention, we offer Camping, and bedrooms, with the services necessary to provide good service to visitors as well as kitchen, living star tv, video games, Bar, Monitoring the 24 hours, dishes to cook and serve food, wi-fi, tank bags, seating and reading, sunbeds, toilets and showers with hot water 24 hours, night lighting, relaxation areas and barbecue. 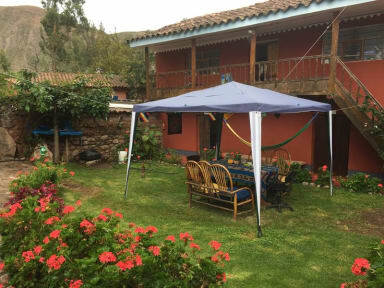 Featuring a garden, Hostel and Campsite Mystical Adventures offers accommodations in Urubamba. Free Wi-Fi access is available here. 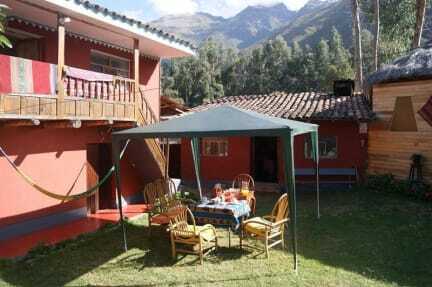 Ollantaytambo Fortress is a 35-minute bus ride away. Rooms at Hostel and Campsite Mystical Adventures feature a fan and heating. A shared kitchen is available. Breakfast is included. At Hostel and Campsite Mystical Adventures guests will find a 24-hour front desk and a snack bar. Other facilities offered at the property include a shared lounge, a games room and a tour desk. An array of activities can be enjoyed on site or in the surroundings, including cycling. The property offers free parking.